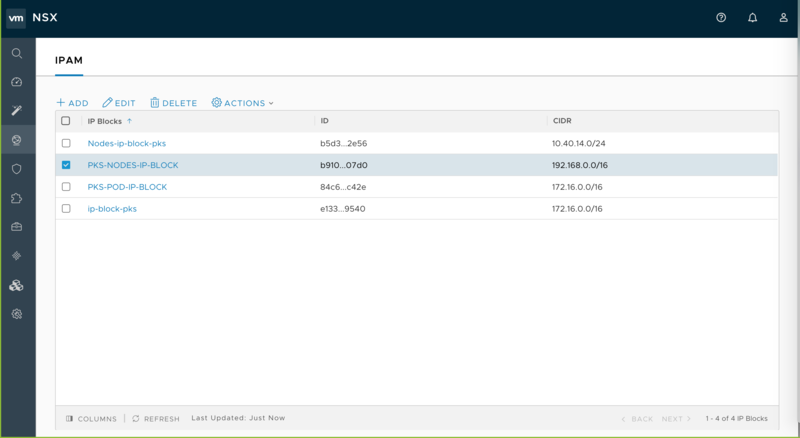 Installing PKS on vSphere with NSX-T requires the creation of NSX IP blocks for Kubernetes node and pod networks, as well as a Floating IP Pool from which you can assign routable IP addresses to cluster resources. 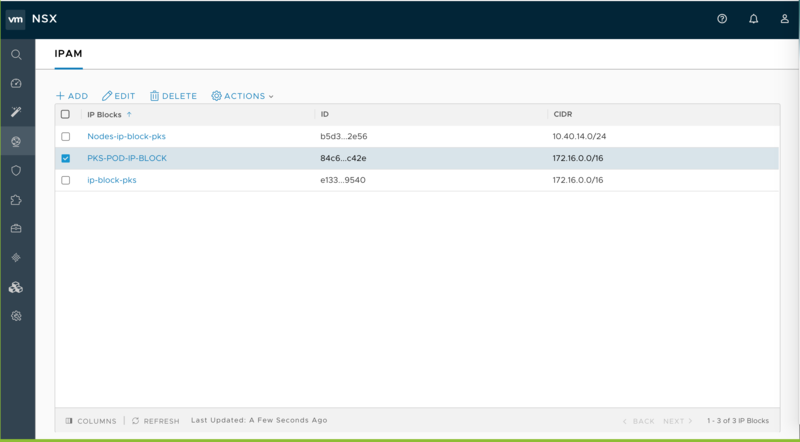 Create separate NSX-T IP Blocks for the node networks and the pod networks. The subnets for both nodes and pods should have a size of 256 (/16). For more information, see Plan IP Blocks and Reserved IP Blocks. 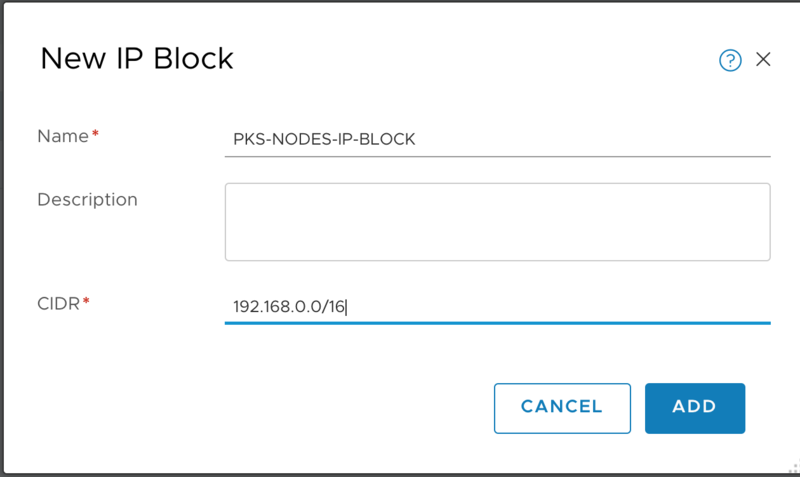 NODE-IP-BLOCK is used by PKS to assign address space to Kubernetes master and worker nodes when new clusters are deployed or a cluster increases its scale. 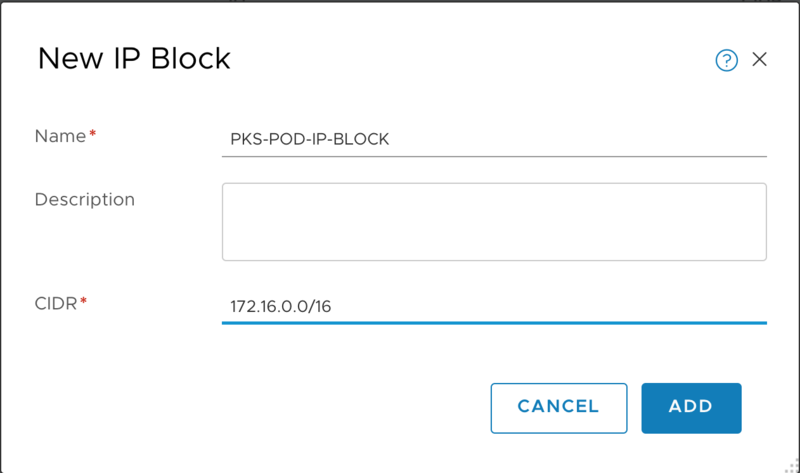 POD-IP-BLOCK is used by the NSX-T Container Plug-in (NCP) to assign address space to Kubernetes pods through the Container Networking Interface (CNI). In addition, create a Floating IP Pool from which to assign routable IP addresses to components. This network provides your load balancing address space for each Kubernetes cluster created by PKS. The network also provides IP addresses for Kubernetes API access and Kubernetes exposed services. For example, 10.172.2.0/24 provides 256 usable IPs. This network is used when creating the virtual IP pools, or when the services are deployed. You enter this network in the Floating IP Pool ID field in the Networking pane of the PKS tile. Complete the following instructions to create the required NSX-T network objects. 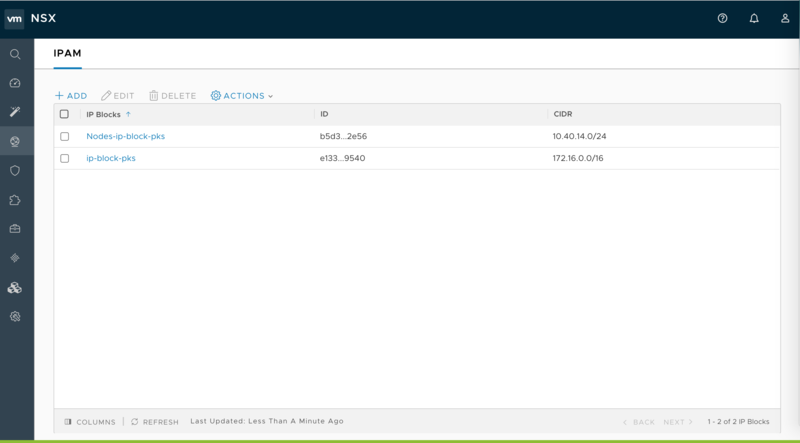 In NSX Manager, go to Networking > IPAM. Verify creation of the Pods IP Block. Get the UUID of the Pods IP Block object. You use this UUID when you install PKS with NSX-T.
Verify creation of the Nodes IP Block. Get the UUID of the Nodes IP Block object. You use this UUID when you install PKS with NSX-T. 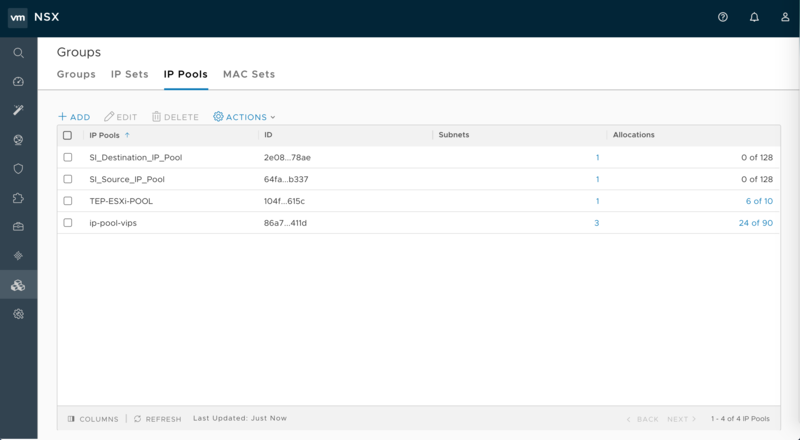 In NSX Manager, go to Inventory > Groups > IP Pool. 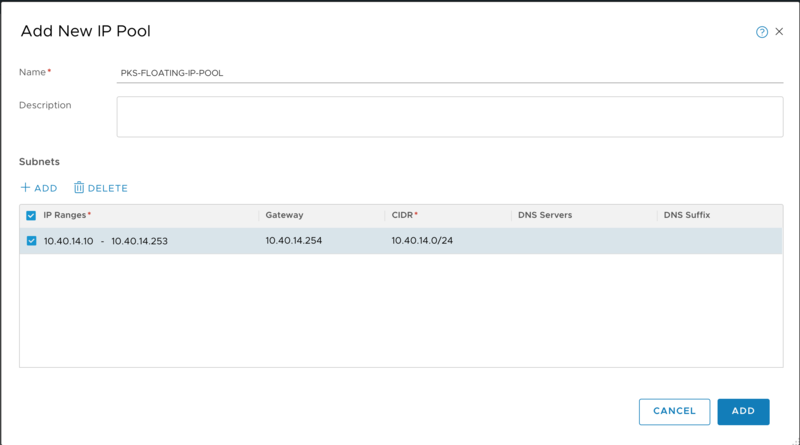 Get the UUID of the Floating IP Pool object. You use this UUID when you install PKS with NSX-T.
After you complete this procedure, follow the instructions in Installing PKS on vSphere with NSX-T.